I Am the Night Finale Recap: One False MoveThe story of Fauna Hodel ends in an inconsistent muddle of reality and fiction that highlights how this show was never quite the sum of its parts. I Am the Night Recap: Out of the PastReality and fiction and theory blur together as Fauna and Jay get to Hawaii and find Fauna’s mother, Tamar. 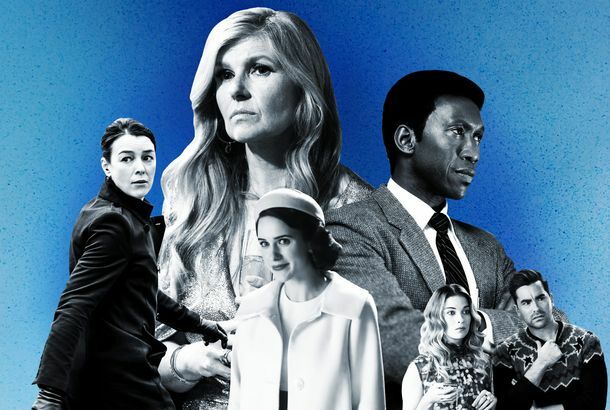 A Guide to I Am the Night’s Facts and FabricationsUntangling the TNT mini-series’s twisty blending of the real-life story of Fauna and George Hodel with fictionalized elements like Jay Singletary. I Am the Night Made Its Own Surrealist Art for That Haunting Black Dahlia TwistSeries creator Sam Sheridan talks Salvador Dalí, Man Ray, the real-life George Hodel, and the “undercurrent of misogyny” in Surrealism. I Am the Night Recap: Ace in the HoleThe art world of the rich and possibly insane characterizes the best scenes of an interesting episode. I Am the Night Recap: Touch of EvilHalfway in, the miniseries finally brings its two protagonists together, and starts to draw the line between the Black Dahlia murder and George Hodel. I Am the Night Recap: The Big NowhereThe highly anticipated series kicks off with a table-setting episode that feels very much like a prologue to the main event. Patty Jenkins and Chris Pine’s I Am the Night Gets New Trailer, Release DatePremiering on TNT on January 28.